Last week we have published many different Odd One Out Picture Puzzles. These Picture Puzzles were of all difficulty levels. Picture Puzzle for Kids were easy puzzles in which one has to find the Odd Picture Out. Picture Puzzles for Teens were of medium difficulty level and Picture Puzzles for Adults were very tough Odd One Out Puzzles. 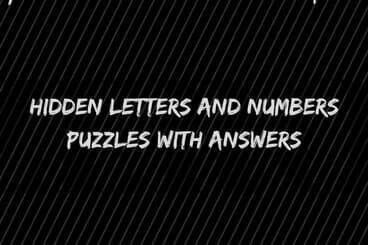 Now its time for hidden letters and numbers brain teasers. In each of these picture brain teasers, one number of the sequence of alphabets is hidden in full picture image. 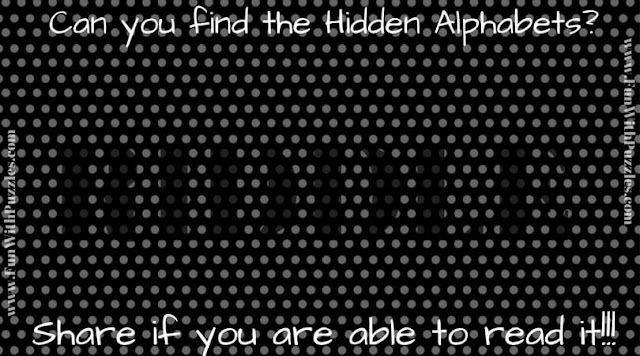 Your challenge is to find this hidden number or alphabets in each of these picture puzzle images. Lets see how quickly you can find these hidden letters and numbers in these puzzle images. Answers link to all these picture puzzles are given at the end. 1. 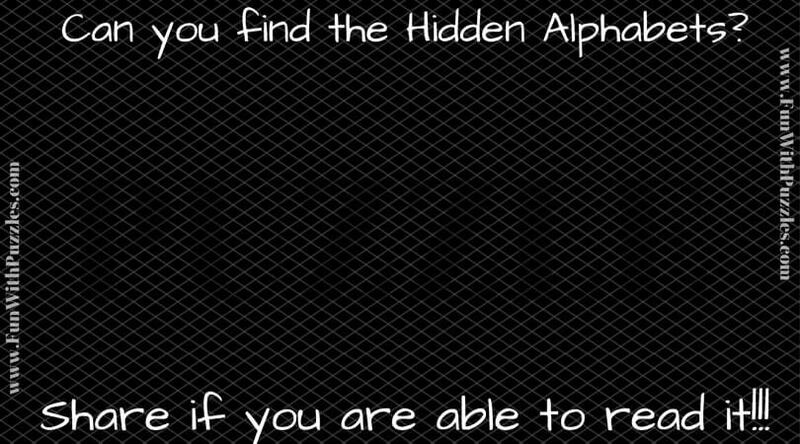 Can you find hidden word in this picture puzzle image? 2. 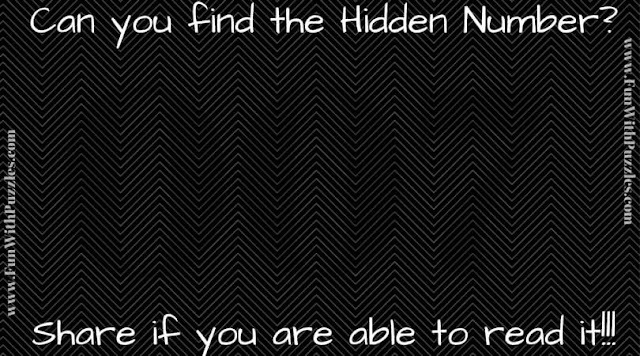 Can you find the Hidden Number? 4. Can you find the hidden letters sequence? 5. Find the hidden alphabet letters in this puzzle image. Eye Test to find Hidden Numbers: These Picture Puzzles are similar to today's brain teasers. 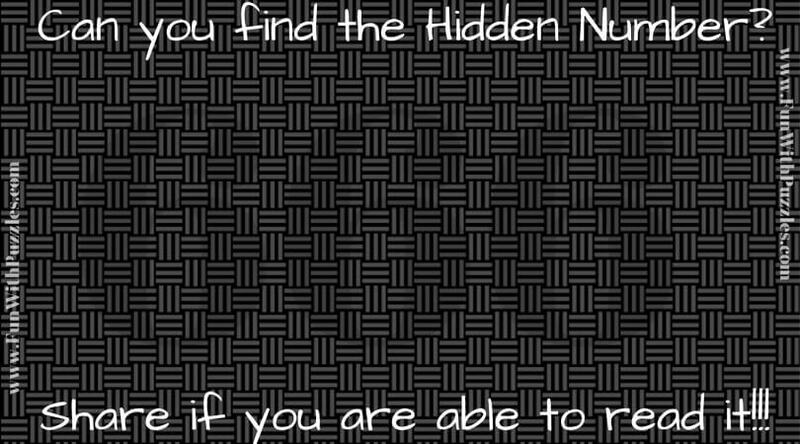 In these puzzles, you have to find hidden numbers in each of the picture puzzle images. Hunt for Hidden Letters-Brain Exercises: In these Picture Puzzles you have to find out hidden letters or number in a given set of numbers or alphabets. Spot the Difference Picture Puzzles: Here you can learn how quickly you can solve Spot the Difference type of picture puzzles. Also, there are many Spot the Difference Picture Puzzles for practice. Brain Wiring IQ Test: Try giving this Brain Wiring IQ Test which contains mixed types of brain teasers.